Okay, so I’m in New Jersey, where I’m feverishly working on some really new exciting news for you on the Mind Force Quantum Qigong Sequence that I mentioned the other day. And it’s kind of freaking me out a little. I’ll bet you can relate. Of course, I don’t let her know this because I don’t want her to get panicked or anything, you know what I mean? I tell her to relax and that I’ll simply use a little chi to bring her fingers back to normal. All I had to do was pulse a small amount of chi into her finger and within seconds the color came back! I know what you’re thinking. I’m trying to over hype something for you to buy, right? Well, I wish it were that easy, but the fact of the matter is these methods are potent. I can recall a few years back, teaching a small percentage of these techniques to the wrong person, and it was disastrous. Why? Because I didn’t pre-screen the individual well enough and he let his training get out of hand. to never reveal them again. I received another email today from the UK from someone wanting to be placed on the waiting list for THE MIND FORCE & QUANTUM QIGONG SEQUENCE, and I don’t even have it available yet (and may never)! I got another email stating “Just let me know what I need to do to qualify, money is no object”! What’s even crazier is that people are joining us every day now. I guess they’re finding out about this newsletter through word of mouth or something. Oh – and you wouldn’t believe the amount of email I’m getting from people. 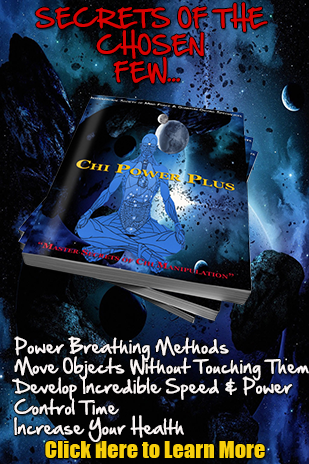 YES, I AM GOING TO TEACH MY NEW MIND FORCE & QUANTUM QIGONG SEQUENCE, BUT I’M STILL NOT SURE HOW MUCH OF IT! There. I said it …OK? 1. This is powerful stuff that nobody’s ever seen before. If it was in the wrong hands …or used in the wrong way, things could get ugly. 2. Because this is so hard-core …and it’s something that NOBODY is using, it’s pretty much bullet proof. Think about it. If this material works even half as good as i say, you’ll be glad you jumped on board (and at 10 times the price)! P.S. Some people get a little worried that these methods are too powerful.